petition: The Trump Administration's Latest Bloody Giveaway to American Hunters: Thousands More Acres Where They Can Kill. There are more than 560 National Wildlife Refuges (NWR) in the United States. They were created to give our native flora and fauna a space to live and prosper. Refuge, according to the dictionary, is a place or situation providing safety or shelter. Unfortunately, that is not always the case. The Trump administration has decided to open 30 of our crucial NWRs up to expanded hunting, meaning that the animals that once lived in relative protection are now walking around with bullseyes on their heads. 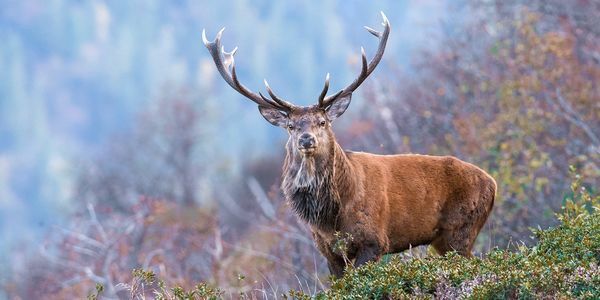 Dozens of species are now on the kill lists including elk in Montana, turkey in Florida, squirrel in New Jersey, moose in North Dakota and white-tailed deer in Ohio. Once the hunting expansion goes into effect for the 2018-2019 hunting seasons, more than half of the so-called "refuges" will actually be no more than hunting parks. Many of the animals that live within the NWRs are endangered species, or worse, on the brink of extinction. Now, the shelter and protection they once enjoyed have been shattered and it will likely reverse any progress conservationists have made to help endangered populations. Trump's Secretary of the Interior, Ryan Zinke — the person responsible for this terrible decision — has been criticized before for siding with the hunting and fishing industry over conservation. Once again, it looks like he has done just that. Zinke claims that opening up more areas to hunting will ensure that this "tradition" doesn't become an "elite sport." But that is just the issue. A sport is an activity in which both sides have an equal chance and in which is done for fun. An animal has no chance against a gun, and how can killing an animal be fun? The American people need to let Zinke know that we want our refuges to be just that. Safe spaces for our beloved animals. Please sign this petition and demand that Secretary Zinke reverse his decision.